Mantua, 27 February 2013 – At a meeting today in Mantua chaired by Roberto Colaninno, the Board of Directors of Piaggio & C. S.p.A. examined and approved the 2012 draft financial statements. The positive performance of the Piaggio Group acquires even greater significance when considered against the macroeconomic scenario of 2012, which was exceptionally challenging for most industrial sectors and presented areas of extraordinary market difficulties for the two-wheeler and commercial vehicle segments in which the Group operates. Despite these difficulties, on Western markets in 2012 the performance of the Piaggio Group reflected constant consolidation of its European leadership in the two-wheeler business, with another year of growth, especially in its European scooter market share. Performance was particularly significant in the USA, one of the few Western two-wheeler markets to report a rise in demand. In the Asian countries the Group continued to reap the benefits of its globalisation strategy, specifically with double-digit growth in turnover in Asia Pacific, while in India the launch of the Vespa on the local market was completed. Control over costs and productivity enabled the Group to maintain high profit margins, without slowing progress in the global expansion strategies set out in the Piaggio Group Business Plan and based on the elements that are the foundation of the positive results approved today: premium pricing and brand policies, and growth on emerging markets. Group consolidated net sales in 2012 were 1,406.2 million euro, against 1,516.5 million euro in 2011. In 2012 the Piaggio Group sold a total of 615,500 vehicles worldwide, compared with 653,300 in 2011. In the two-wheeler business, the Piaggio Group sold 406,100 vehicles in 2012, for turnover of 993.3 million euro (415,000 vehicles and 1,025.3 million euro in 2011). 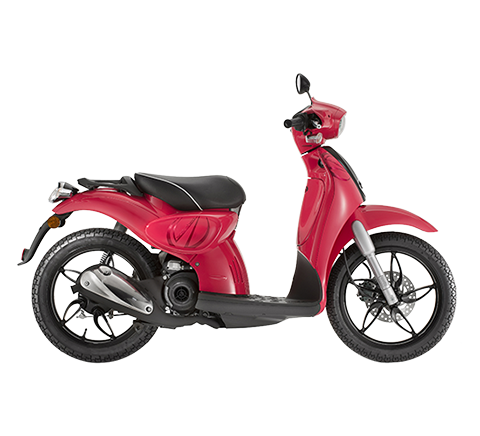 The slowdown in sales in Europe, where the two-wheeler market slackened overall by 13%, was countered to a large extent not only by the strengthening of the Group’s European market shares, but above all by the strong growth of the Piaggio Group in Asia Pacific, where its shipments and turnover improved by 7.5% and 12.6% respectively, and in America, with shipments and turnover rising by 36.4% and 109.2% respectively. 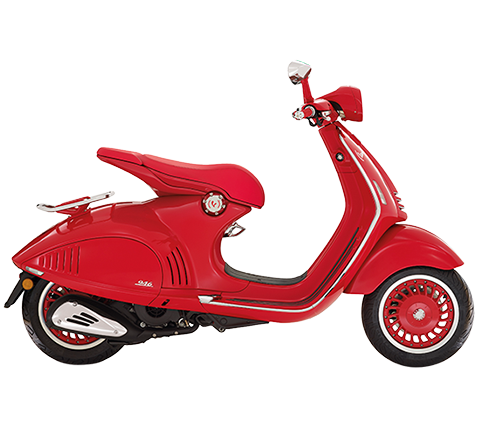 Approximately 26,000 Vespa scooters were sold in India from May to December 2012. On the Vietnamese scooter market, Piaggio raised its share to 19% for automatic scooters, with growth of 0.8 percentage points from 2011. In the other Asia Pacific markets (where Group shipments increased by 19%), interesting growth levels were reported in Thailand and Australia. On the US market, the Piaggio Group consolidated its ranking as one of the top scooter manufacturers with a share of 25.3%, and confirmed its position as outright leader in over 50cc scooters, with a US market share of 39.3%. 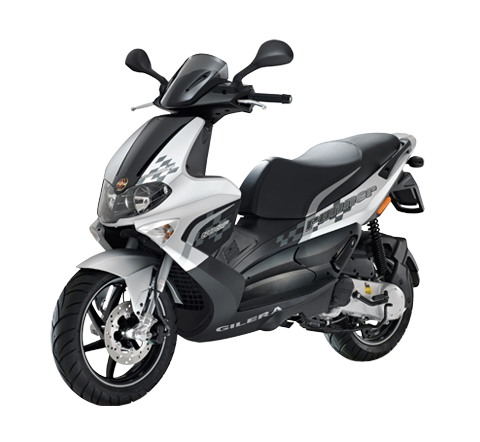 The Group also consolidated its leadership in the two-wheeler sector in Europe with a 19.8% share of the overall market and additional growth to 27.9% in the scooter sector (+0.3 percentage points from 2011). The Vespa brand continued to show constant growth in worldwide sales – which have more than tripled since 2003 – with more than 165,000 scooters sold from January to December 2012. 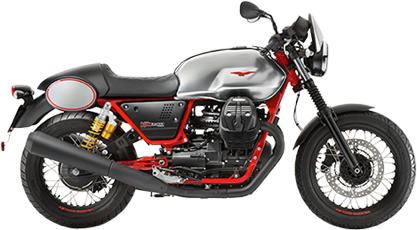 Among the other Group brands specific mention should be made of Moto Guzzi, which in 2012 – in sharp contrast to the trend on the European motorcycle market – reported growth of 15.3% in bike sales (6,664 vehicles compared with 5,763 in 2011), confirming the success of its strategy to expand its range, which in 2013 will culminate in the launch of two separate models of the new Moto Guzzi California 1400. Sales of Group sports bikes were supported by the new success of the Aprilia RSV4 in the World Superbike. 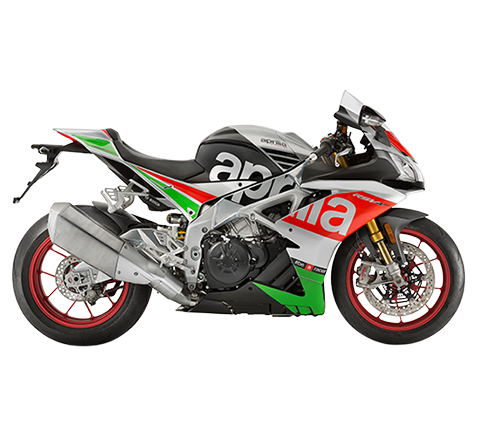 As in 2010, Aprilia closed the 2012 WSBK Championship with the rider and the manufacturer titles, raising to 51 its total number of championship victories and to 101 the number of Piaggio Group victories with Aprilia, Moto Guzzi, Gilera and Derbi. Aprilia’s dominance in the World Superbike was reiterated at the start of the 2013 season on 24 February in Phillip Island, when three Aprilia bikes took the first three places in the first heat and two Aprilias took the first two places in the second heat. In the commercial vehicles business, the Piaggio Group sold a total of 209,400 vehicles in 2012 (238,300 in 2011) for turnover of 412.9 million euro (491.1 million in 2011). Group sales were affected by the sharp downturn on all core markets, which reported decreases of 32% for Italy and 13.3% for Europe, and a 9.8% reduction in the Cargo segment of the Indian three-wheeler market. On the Indian three-wheel commercial vehicle market, Piaggio Vehicles Private Ltd. (PVPL) confirmed its market leadership in the Cargo segment with a share of more than 52% and was one of the top players in the business as a whole, with a market share of 34.3%. In India, towards the end of 2012, PVPL launched the new three-wheeler Apé City Passenger equipped with a new 200cc engine developed entirely by Piaggio. In four-wheel commercial vehicles, PVPL developed and industrialised two new models with automobile-type driver cabs based on the Piaggio Porter and Quargo commercial vehicles, respectively in the segment with a payload of under 0.5 mt (and 510cc diesel engine) and in the segment with a payload between 0.5 and 1 mt, equipped with the new 1,000cc twin-cylinder diesel engine designed in-house by the Piaggio Group and industrialised in the Baramati Engine Plant. The two new commercial vehicles will help the Piaggio Group broaden and strengthen its offer in a market segment which, in India, has been showing double-digit growth in the last few years. The industrial gross margin for the year was 29.7% compared with 30% in 2011, a particularly significant result considering the general economic and market situation and the consequent reduction in turnover, obtained by maintaining a premium pricing policy and thanks to the efficiencies achieved on product cost. In absolute terms, the margin was 417.9 million euro, against 454.3 million euro in 2011. Operating expense for 2012 was 321.3 million euro, down by approximately 28.2 million euro from the previous year despite the Vespa production and marketing start-up in India and the geographical expansion of the Piaggio Group; this confirms the constant focus on making significant cost reductions and maintaining high profitability and productivity levels. Consolidated Ebitda in 2012 was 176.2 million euro, compared with 199.8 million in 2011. The Ebitda margin was 12.5% (13.2% in 2011). Piaggio Group Ebit in 2012 was 96.6 million euro from 104.8 million euro in 2011. The EBIT margin was identical to the 2011 figure of 6.9%. In 2012 the Piaggio Group reported profit before tax of 67.9 million euro, compared with 78.6 million euro in 2011. 2012 closed with a net profit of 42.1 million euro, down from 46.3 million euro in 2011. The return on sales was 3.0%, substantially in line with 2011 (3.1%). Net debt at 31 December 2012 was 391.8 million euro. Compared with the figure at 31 December 2011 (335.9 million euro), the rise in net debt reflected the high level of Piaggio Group capital expenditure during the year (148 million euro, +17% from 2011, +54% from 2010) to continue the global expansion of industrial and commercial operations (including the purchase on 11 April 2012 of a business unit located in Pontedera with strategic sourcing importance for the Group’s European production activities). Shareholders' equity at 31 December 2012 amounted to 439.9 million euro from 446.2 million euro at 31 December 2011. 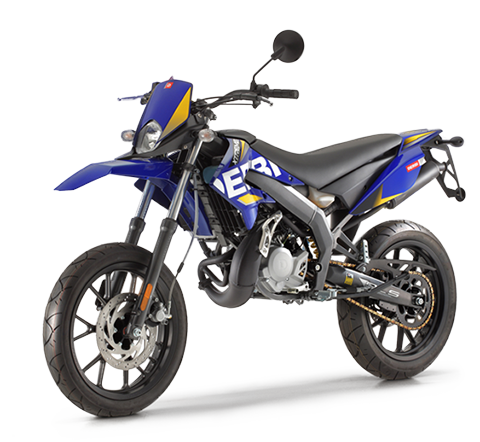 15 February 2013 – Following the Group decision to close the Spanish factory and transfer production operations to its Italian factories (notably for the Derbi brand), Nacional Motor presented an E.R.E. (Expediente de Regulacion de Empleo, employment regulation expedient) for 4 almost all workers. This procedure will involve the Group in restructuring expense estimated at approximately 5 million euro. Despite the persistent slowdown in global growth, and in the Western economies in particular, the Piaggio Group is committed to maintaining the direction outlined in its Business Plan in order to continue generating value for all stakeholders. It therefore confirms both its commitment to strong growth in productivity – by leveraging its wider international presence to boost product cost competitiveness on key processes such as procurement, manufacturing, engineering – and its industrial and commercial development strategy in Asia and its leadership consolidation strategy on Western markets. As far as commercial and industrial operations are concerned, the Group plans to:  continue growth in the Asia Pacific area through the expansion of its two-wheeler ranges and growth on local markets, where it can also leverage an industrial presence enhanced during 2012 with the start-up of the engine production factory in Vietnam;  accelerate sales on the Indian scooter market, a high-growth market where the Group began operations in the spring of 2012 with the introduction of the Vespa premium brand, in part through the expansion of the sales network and the enhancement of the product offer;  confirm its leadership position on the European two-wheeler market, where in 2012 Piaggio increased its share of the scooter market, by further strengthening its product range – the various new entries will include the launch in early 2013 of the iconic Vespa 946 – and growing motorcycle sales and margins through the Moto Guzzi and Aprilia ranges;  grow commercial vehicle sales in India, in part through entry into new segments of the Indian three-wheeler market with the new Apé City and the introduction of new models in the fourwheeler segment, and in the emerging countries by targeting further growth in exports on African, Asian and South American markets;  maintain its current positions on the European commercial vehicles market. With regard to technology, the Piaggio Group confirms its commitment to the development of twowheeler and commercial vehicle ranges and to combustion and hybrid engines with sharply reduced fuel consumption and emissions. The parent company reported 2012 net sales of 841.8 million euro and profit after tax of 46.2 million euro. Proposed dividend of 0.092 euro The Board of Directors will ask the shareholders' meeting to approve distribution of a dividend of 0.092 euro per ordinary share (compared with 0.082 euro for financial year 2011), not including the quota for remaining own shares pursuant to art. 2357-ter Italian Civil Code, for a total amount of € 33,126,198.96. The ex dividend date will be 20/05/2013, with payment on 23/05/2013. Authorisation for the purchase and sale of own shares At today’s meeting the Board of Directors agreed to present to the shareholders' meeting a proposal for the renewa of the authorisation for the purchase and sale of own shares, which is due to expire on 12 October 2013. The proposal aims to provide the company with a useful strategic investment opportunity for the purposes allowed under law, including the purposes contemplated in the market practices allowed by the Consob pursuant to art. 180, paragraph 1, lett c) of the Consolidated Finance Act with resolution no. 16839 of 19 March 2009 and Regulation CE no. 22/2003 of 22 December 2003, and also for purchases of own shares for subsequent cancellation. 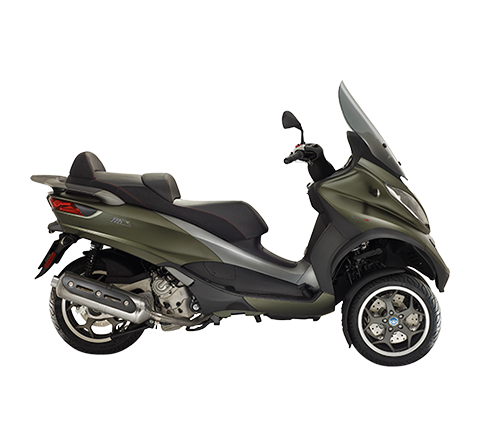 With effect from the first half of 2012 the Piaggio Group has elected early adoption of IAS 19 revised. Consequently, the previously published income statement figures for the year to 31 December 2011 have been restated where necessary in this press release, to permit comparison on a like-for-like basis.